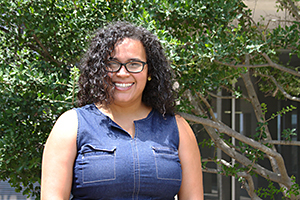 After receiving her MSW, Kerri served as the School Social Worker at The University of Texas Elementary School in Austin, Tex. There she provided individual, group and family counseling, case management and consultation to students, families and members of the interdisciplinary student educational planning team. In 2011 Kerri accepted a position as Director of Field Education and Assistant Professor of Social Work at Hardin Simmons University in Abilene, Tex. She loves teaching, advising and collaborating with students. She is passionate about doing so with full measures of grace and truth. Throughout her time in Austin and Abilene, Kerri served in many community roles including: Branch Church Leadership Team (Abilene), Citizens United Against Disproportionality and Disparity (CUADD) Member and Central Texas Tres Dias Community member. Kerri’s other identity is that of writer. She is obsessed with the craft of creative non-fiction and is currently writing her first book, a reflection on biracial identity, the weight of wonder and becoming whole.